This Mercedes-Benz A-Class Features the Following Options 2019 A220 4MATIC® $34,500 149 Polar White 105 Macchiato Beige MB-Tex P01 Premium Package: $1,550 .....889 KEYLESS GO® .....871 HANDS-FREE ACCESS .....859 10.25 Media Display (touch) .....549 Connect20 .....500 Power Folding Mirrors .....458 10.25 Instrument Cluster Display .....249 Autodimming Mirrors .....P49 Mirror Package .....P17 KEYLESS GO® Pkg incl. hands-free access 319 Exterior Lighting Package: $900 .....640 MULTIBEAM LEDs .....608 Adaptive Highbeam Assist AA5 Factory Code FU1 factory code H45 Aluminum Trim w/ Lines K31 Factory Code PZZ Steering Code P59 Progressive R02 All Season Tires R66 Extended Mobility Tires SAB Steering Code 00A Illuminated Star $450 067 Illuminated Door Sills $500 2U5 Side Skirts - Painted 234 Blind Spot Assist $550 273 Telephone Pre-Wiring/Portable Phone 3U7 TBD 51U Black Headliner 668 Sea Packing & Dispatch 72R 17 10-Spoke Wheels 873 Heated Front Seats $580 877 64-Color Interior Ambient Lighting $310 SUBTOTAL $39,340 DESTINATION &DELIVERY $995 TOTAL $40,335Visit Us Today Stop by Mercedes-Benz Porsche of Lehigh Valley located at 3401 Lehigh St, Allentown, PA 18103 for a quick visit and a great vehicle! This Mercedes-Benz A-Class Features the Following Options 2019 A220 4MATIC® $34,500 191 Cosmos Black Metallic $720 101 Black MB-Tex P01 Premium Package: $1,550 .....889 KEYLESS GO® .....871 HANDS-FREE ACCESS .....859 10.25 Media Display (touch) .....549 Connect20 .....500 Power Folding Mirrors .....458 10.25 Instrument Cluster Display .....249 Autodimming Mirrors .....P49 Mirror Package .....P17 KEYLESS GO® Pkg incl. hands-free access 320 Multimedia Package: $1,150 .....513 Traffic Sign Assist .....502 OTA nav map updates .....365 MB Navigation .....01U Navigation Services .....U19 Augmented Video .....PBF Mercedes me essentials pkg AA5 Factory Code FU1 factory code H45 Aluminum Trim w/ Lines K31 Factory Code PXM TBD PZZ Steering Code P59 Progressive R02 All Season Tires R66 Extended Mobility Tires 16P Factory Code - Showroom Units 2U5 Side Skirts - Painted 232 Garage Door Opener $280 234 Blind Spot Assist $550 273 Telephone Pre-Wiring/Portable Phone 299 Pre Safe System $405 3U7 TBD 51U Black Headliner 536 SiriusXM Radio with Free Trial Period $460 668 Sea Packing & Dispatch 72R 17 10-Spoke Wheels 873 Heated Front Seats $580 877 64-Color Interior Ambient Lighting $310 897 Inductive Wireless Charging and NFC Pairing $200 SUBTOTAL $40,705 DESTINATION &DELIVERY $995 TOTAL $41,700Visit Us Today A short visit to Mercedes-Benz Porsche of Lehigh Valley located at 3401 Lehigh St, Allentown, PA 18103 can get you a reliable A-Class today! 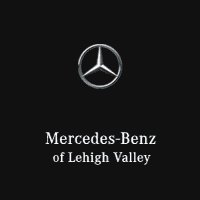 A short visit to Mercedes-Benz Porsche of Lehigh Valley located at 3401 Lehigh St, Allentown, PA 18103 can get you a reliable A-Class today! This Mercedes-Benz A-Class Comes Equipped with These Options 2019 A220 4MATIC® $34,500 859 Mojave Silver Metallic $720 105 Macchiato Beige MB-Tex P01 Premium Package: $1,550 .....889 KEYLESS GO® .....871 HANDS-FREE ACCESS .....859 10.25 Media Display (touch) .....549 Connect20 .....500 Power Folding Mirrors .....458 10.25 Instrument Cluster Display .....249 Autodimming Mirrors .....P49 Mirror Package .....P17 KEYLESS GO® Pkg incl. hands-free access 320 Multimedia Package: $1,150 .....513 Traffic Sign Assist .....502 OTA nav map updates .....365 MB Navigation .....01U Navigation Services .....U19 Augmented Video .....PBF Mercedes me essentials pkg AA5 Factory Code FU1 factory code H15 Natural Grain Black Linden Wood Trim $325 K31 Factory Code PXM TBD PYY Steering Code PZZ Steering Code P59 Progressive R02 All Season Tires R66 Extended Mobility Tires 01R 18 5-Spoke Wheels w/ Black Inlays $500 16P Factory Code - Showroom Units 2U5 Side Skirts - Painted 232 Garage Door Opener $280 234 Blind Spot Assist $550 273 Telephone Pre-Wiring/Portable Phone 299 Pre Safe System $405 3U7 TBD 51U Black Headliner 536 SiriusXM Radio with Free Trial Period $460 668 Sea Packing & Dispatch 873 Heated Front Seats $580 877 64-Color Interior Ambient Lighting $310 897 Inductive Wireless Charging and NFC Pairing $200 SUBTOTAL $41,530 DESTINATION &DELIVERY $995 TOTAL $42,525Visit Us Today A short visit to Mercedes-Benz Porsche of Lehigh Valley located at 3401 Lehigh St, Allentown, PA 18103 can get you a dependable A-Class today!